St. Mary’s Academy is family. We believe that each member of our community, students and their families, and our faculty and staff, significantly impact the academic experience of our students. Together, we provide a challenging, enriched, personal academic experience designed to provide each student the opportunity to explore individual potential within the classroom and in extracurricular activities. St. Mary’s Academy sets the stage for confident tomorrows! Under Father Forhan’s dedicated supervision, and through his enduring love and commitment to children, St. Mary’s School, a modern, red brick building, was built and completed in 1967. It opened its doors in September 1967 as a parish school, servicing 116 students in grades one through four. The Sisters of Saint Joseph and one layperson staffed St. Mary’s School. 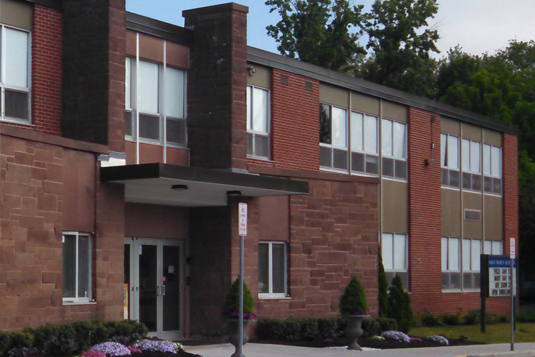 In 2006, the Academy became accredited through the New England Association of Schools and Colleges(NEASC). The philosophy of St. Mary’s Academy is grounded in the faith and moral teachings of the Roman Catholic Church. We recognize the importance of providing our children of all faiths with a guideline for moral development by adhering to the virtues of charity and justice.